Did you know that 10% of the population suffer with shoulder pain at any one time? Many of our patients, who we’ve seen and treated with shoulder injuries (and there has been a few lately), never knew how much they relied on their shoulder movement until they started experiencing pain. The shoulder is a complex joint due to the fact that it can move in all directions. There are many structures within the shoulder and around the shoulder area that are commonly injured and can lead to varying levels of discomfort plus impede your movement. Having normal and full shoulder function is essential during your every day activities. Most importantly, without a full range of pain free shoulder movement and strength to maintain perfect control, playing sport becomes very dangerous with a serious risk of a further and more debilitating injury. Shoulder pain can affect anybody at any time and the dysfunction that comes with it can really affect your everyday, quality of life, restricting what you can do and in some cases can be extremely painful. It’s important to get your shoulder pain attended to as soon as the pain arises so you can get back to everyday activities, be pain free again and get back to the sport you love. But what should you do if you are experiencing shoulder pain and when do you need to seek medical advice? How does shoulder pain develop? Injury or pain in the shoulder may appear gradually due to wear and tear over time, or it may result from sudden trauma to the joint directly, or a force applied to your upper limb that then translates the pressure into the shoulder region. A fall on an outstretched hand for example can put tremendous pressure on the shoulder joint and cause injury. The shoulder is the most mobile joint in the body and is subject to significant repetitive loads and forces throughout a standard day. However this high degree of mobility comes at a cost, being that the shoulder is a relatively unstable joint that is more susceptible to injury. Pain stemming from recent trauma should be examined as soon as possible to determine the best treatment and path to recovery, avoid any future complications and to reduce the risk of re-injury or worsening of the injury. 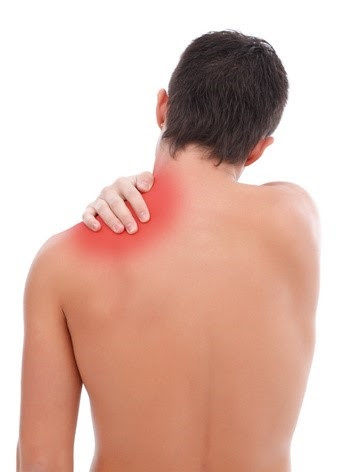 In some cases the pain can be more gradual in its presentation, meaning it may often result from tendon inflammation, poor movement patterns that occur over a long period of time, or the pain can be referred from the neck or upper back. These types of injuries are often caused by external factors such as repeated reaching over shoulder height, poor posture, muscle imbalances, work or sporting demands and wear and tear over a period of time. I have shoulder pain, what do I do now? It is so important to get your shoulder pain attended to as soon as the pain arises before it develops into a much more serious injury. It is important to understand what factors are contributing to the pain so that you can eliminate or correct them to prevent further damage. If you are concerned about your shoulder pain the first port of call is to have an expert assessment to determine which structures are injured, why they are injured, and then commence a treatment program to reduce the pain, correct the contributing factors and prevent re – injury. To get an expert assessment and to confidently move your shoulders pain free, simply give our clinic a call on Newport (02) 9997 4970 or Balgowlah (02) 9949 3770 to get you back to the life you love.